If you’re a serious gamer with a mix of media passions - and a bit of a control fetish - it’s hard to go wrong with the XP Seven. Check out any Major League Gaming event this spring, and amidst the myriad of illuminated screens and young competitors vehemently barking commands, you’ll likely see a whole lot of black and white headsets with the number “SEVEN” written on the side. How do we know what the country’s gaming elite will be wearing, you ask? 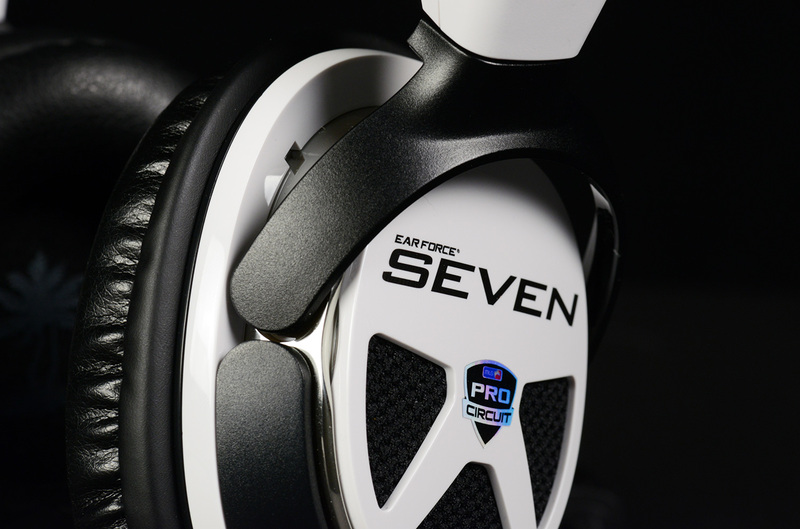 Well, for one thing, Turtle Beach’s new headset, the XP Seven, is the official licensed headset of the MLG Pro Circuit. But more importantly, the XP Seven has the goods. 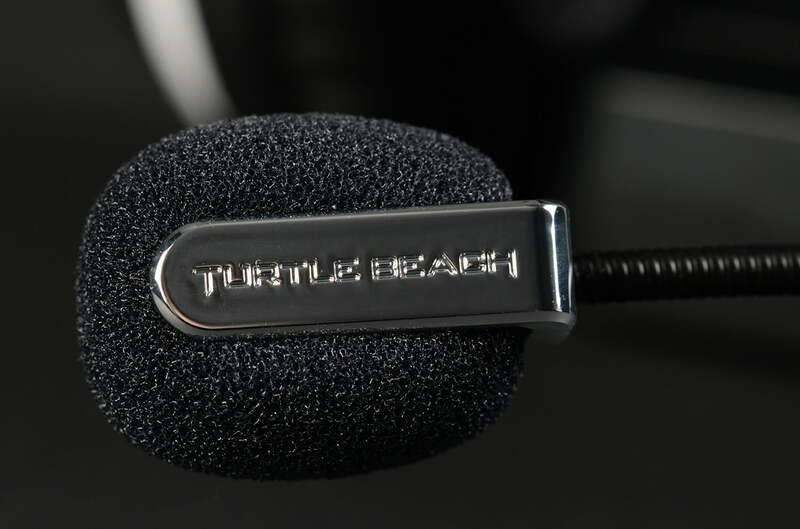 As the self-proclaimed number 1 company in gaming audio, Turtle Beach has plenty of clout in the industry. With its new Seven Series, however, the company has taken things up a notch. Fashioned around a single headset design, the versatile series offers a truckload of available options that range from an entry level stereo set-up, to adjustable 5.1 surround sound, a multitude of available audio controls, and cross-over between all major gaming platforms. The lord of the new series is the XP Seven, assembling a legion of features together to create a single, ultra-powerful audio gaming system. And at $280, it’s not for the faint of heart. When we got a brief chance to play with the XP Seven at CES in January, we were pretty impressed with its sound and even more impressed with its feature set. Now we’re ready to dig deep into the hoard of options to find out just how formidable Turtle Beach’s new flagship is – that means a whole lot of gaming, movies, and music. We love our job. Removing the vibrant green and black outer shell revealed a substantial black box with a Turtle Beach logo etched into the center. Unfastening the magnets of the book-like cover, we found the XP Seven secured under a clear casing, and framed in an opaque layer of heavy plastic. In the center was a small black hub, and along the bottom edge, a box marked Audio Control Unit. Pulling out the contents with a whiff of fresh leather, we discovered a box packed to the brim with adaptor cables, a removable chat microphone, a packet of instructions and stickers. 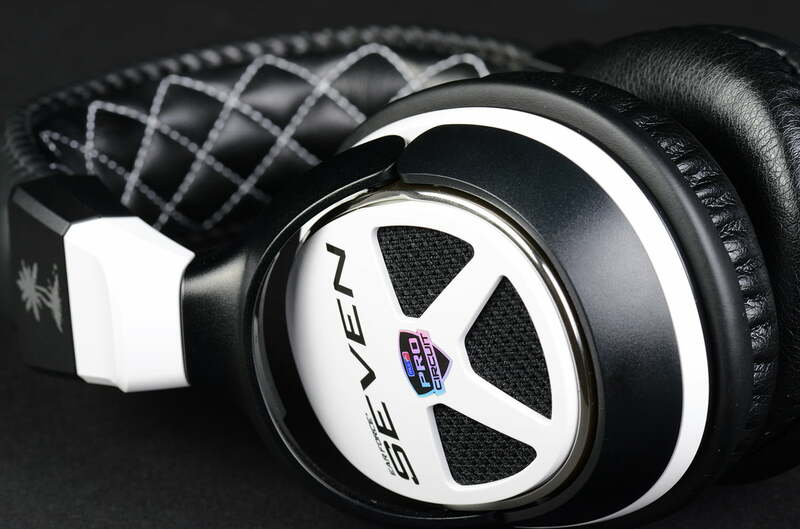 The Seven headset is handsomely crafted, presenting a no-nonsense black and white design with a touch of flash. The gloss-white ear cups are accented in black with a silver ring of chrome surrounding the driver housing. The removable exterior plates bear a monogrammed “SEVEN”, as well as a reflective “Pro Circuit” logo. But if you’re looking to add personality – or strike some fear into your opponents – the plates can be exchanged for customized versions. 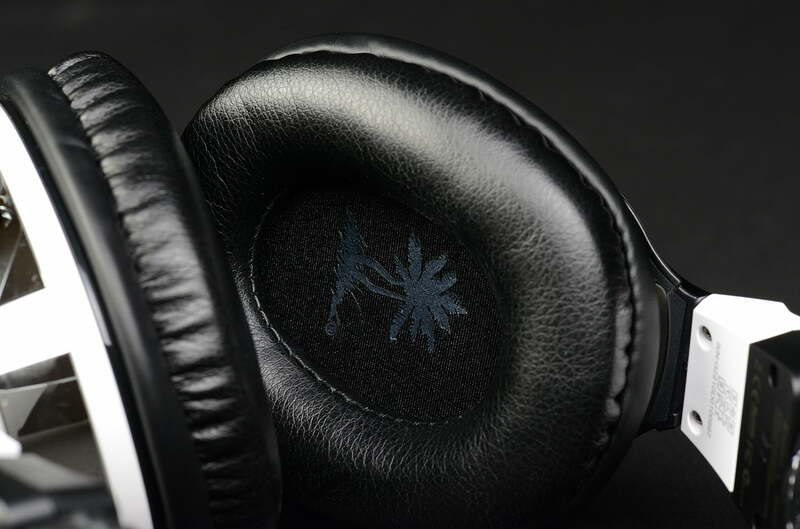 The foam ear pads on the interior of the ear cups are layered in soft leatherette, and surround a black speaker screen which covers the headset’s 50mm drivers. So, what does the XP Seven offer in exchange for your willingness to be tied down? A whole helluva lot. 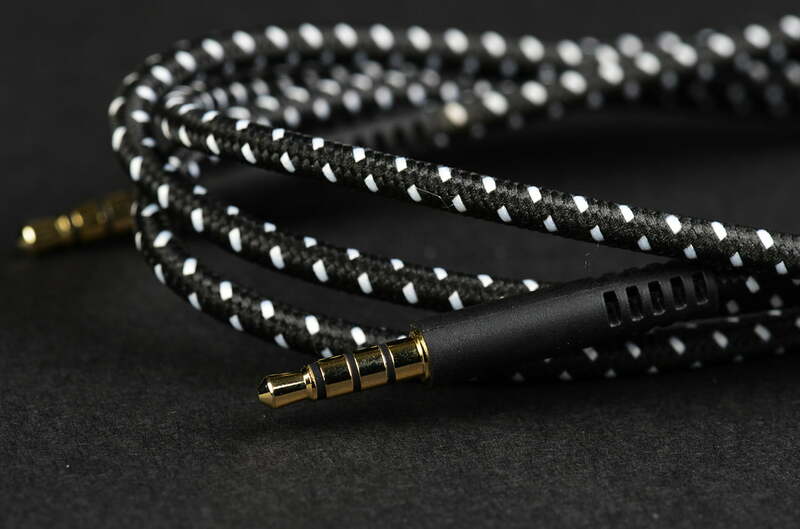 Extending from the left earc up is a short braided cable with a proprietary 6-pin connector piece at the end. Also on the left ear cup is the input for the removable chat mic, which is extremely malleable, and easily clicks in place. The ear cups swivel vertically for adjustment, and rotate outward 90 degrees along the horizontal axis of the headband to form a resting position. The headband is constructed of solid black and white plastic and wrapped in a padded cover of supple leather, with crisscrossed white stitching along its shiny underbelly, and a Turtle Beach logo etched across the soft matte surface on the top. 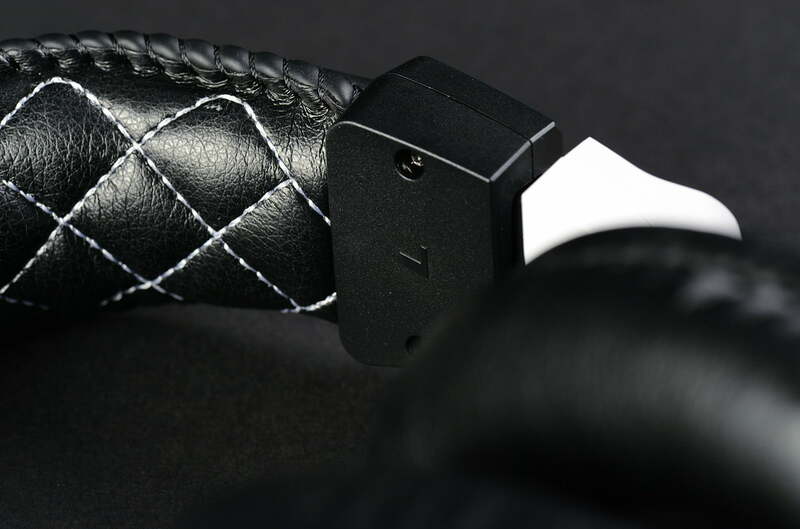 The Seven head set can connect to a smartphone or PS Vita via a 3.5mm adaptor cable. However, for utilization of the XP Seven’s myriad of features and controls, the system must be connected to a console or computer via two main hardware pieces: the Console Interface and the Audio Control Unit (ACU). The Interface does exactly as the name implies, connecting the XP Seven system directly to your gaming device. For Xbox 360 and PS3, a USB connection powers the system, and an optical input runs the digital audio signal. For PC or Mac, the USB connection provides PCM 5.1 channeling, and sound is run through a 3.5mm adaptor cable from the audio output of the computer directly to the ACU. The ACU is the command center for the entire system, controlling one of the most versatile and inclusive palettes of features that has ever been put in our hands. It connects to the Interface via a long cable with dual USB and nine-pin proprietary connectors. The device itself is a black, handheld wand with a throng of capacitive buttons and LEDs, a large control dial, and a belt clip. Through its intuitive interface, you can easily adjust 5.1 speaker volume and even speaker angles, program 8 different EQ presets for primary sound as well as for chat, monitor the entire system through the LED display, and more. Turtle Beach’s downloadable Advanced Sound Editor will provide even more options, including fully programmable EQ presets. Available inputs on the ACU include an external speaker input, an Xbox chat input, and a smartphone/iPod input for playing your own music or taking calls while gaming, which was one of our favorite features. We turned off the game sound for Call of Duty, and called up our own playlist for customized battle ambience. Our only issue with the ACU was that the capacitive buttons are a bit too sensitive — we kept setting off the Speaker Angle button while adjusting volume. Other than that, we were eating up the barrage of options. At first, the Seven’s ear cups clamped down on our ears with the force of Zeus. However, after a few days of quality one-on-one time, the pressure subsided quite a bit, calming down to a firm, but comfortable fit. As with any headset, slight comfort issues arose after a few hours, but the Seven holds up relatively well during prolonged sessions. To get a feel for the XP Seven’s general sonic accuracy, we tested them with a vast selection of music genres from our catalog using an iPhone 5, both through the ACU input and plugged directly into the phone. We found little to no audible difference between the two connections (provided the smartphone volume control dial was up to full volume), and, as mentioned, the system audio controls do not apply to the smartphone input. Shuffling through other genres, the XP Seven delivered equally stirring moments across the spectrum. After thorough testing, we discovered an impressive sound signature notable for its glossy midrange, smooth upper register, and powerful, defined low end. The Seven head set provides a chocolaty tonal color that is less brittle than most gaming headsets we’ve reviewed — and that’s just our style. Some of our favorite moments came from a revisit to an old friend, the Beatles classic, Abbey Road. The entire record soared through the headset’s 50mm drivers, providing several highlights. Shuffling through other genres, the XP Seven delivered equally stirring moments across the spectrum. If we had to render a complaint, it’d be the Seven’s slight lack of clarity in the treble. Guitars, mandolin, and banjo were missing just an inkling of transient sparkle. Still, we’ll take a soft touch in the treble in stride, especially considering the XP Seven’s powerful display of bass. That slight lack of clarity in the treble is essentially a non-issue when filtering sound through the XP Seven’s DSP. After connecting the system to an Xbox 360, the ACU’s customizable options allowed us to perk up treble, beef up low end, and even create drastic sound alterations specifically for online battles like “Footstep Focus”, and “Superhuman Hearing,” each designed to enhance sonic dexterity for defense against blind attacks. Though we didn’t find the XP Seven’s 5.1 Dolby Surround as immersive as the Astro A50’s 7.1 DSP, it was strikingly accurate with directional sounds – a crucial feature for serious gaming. Even in our relaxed meandering through virtual environments like Rockstar’s Red Dead Redemption, the ability to pinpoint sound origins came in handy, allowing us to bound off the trail to follow each and every gunshot or cry for help. As we battled our way through Call of Duty: World At War, the XP Seven exhibited a broad foundation for explosions, intensely real machine gun rattling, exceptional detail, and lightning-quick alteration of the aural environment around us. Movies are also a treat with the XP Seven, with or without Dolby Surround. During a viewing of Spielberg’s spectacular animated film, TinTin – available only in stereo on Netflix – we were pleased to find ourselves remarkably submerged in the environment, with traffic rushing around us, trees creaking in the wind at our sides, and a surreal ocean scene in which a bubble seemed to go right through our heads. 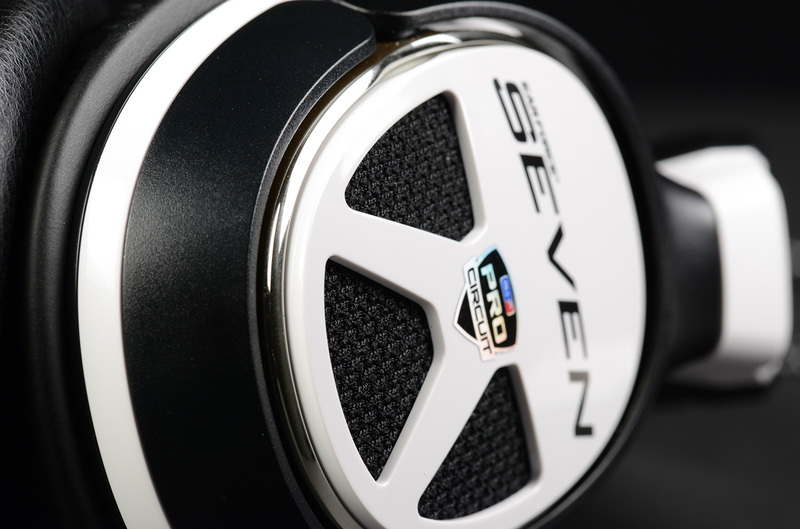 The XP Seven is everything you’d expect from Turtle Beach’s top offering. In its pursuit of the ultimate professional gaming headset, the company has produced a serious tool for autonomous home entertainment. Movies, music and gaming all benefit from the XP Seven’s potent mix of clarity and power. If you’re looking for a simple strap-on-and-go headset without the clutter of wires, the Astro A50 or Turtle Beach’s XP 500 may be more your style. But if you’re a serious gamer with a mix of media passions – and a bit of a control fetish – it’s hard to go wrong with the XP Seven.